The MV for Tokimeki♡Sendenbu titled Kisetsu Hazure no Tokimeki♡Summer has been released. There will be 4 different versions, with the Doki-Doki version featuring a DVD with the members of the group doing Kimodameshi (going to haunted areas at night during summer) with a dance MV. Pyon-Pyon version will include the coupling song titled Pyon-pyon. Don-don version will have a coupling titled Don Worry and the final version titled Tokikuri will have a coupling titled Santa-san ga … Yattekonai!. The song itself is quite upbeat with a colorful video alongside Hawaiian dresses and some interesting shots of the members being shot by water, getting hit by beach balls, as well as some cute scenes with drawings on the members. From what I saw it’s quite the active and upbeat song so fans will definitely be pleased. It’s nothing that will revolutionize the face of music, but it’s decent. We’ll be enjoying this single on December 2, close to the holidays! 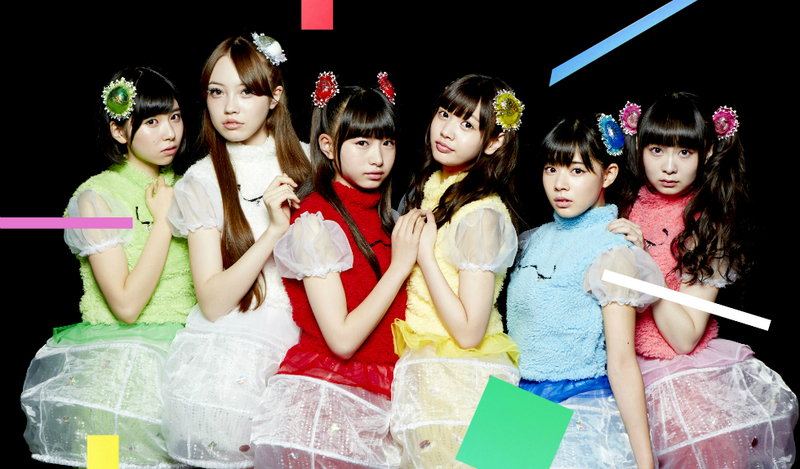 The MV for Otome Shinto’s Tsuchinoko tte Iru to Omou…?♡ has been released. There will be 3 different versions, limited Type A with a DVD featuring an MV and the Making Of, Type B with a Dance shot MV and a dance instruction video. The coupling song will be titled Mune ni Hattekou! The song itself has a whimsical sound to it with the members dancing in colorful outfits alongside a rainbow of colors which are quite impressive. Of course the dancing … completely not suggestive fish flashing in the background might be a bit too flashy for some, but other than that it’s a solid MV that showcases the colorful group. November 18 is the date of released so make sure to get a copy! As always these videos are amazing news for fans since it gives us a chance to find out more about idols that usually don’t get much attention. Takagi is one of those idols. Talented and cute, but sadly overshadowed by a few of her fellow members. Thankfully from the video and the cover it seems like we’re in for an amazing release with a beach as the background alongside Sayuki in a cute school outfit as well as a shirt scene that culminates in her taking it off to reveal a bikini. The blu-ray will be available for preorder until November from e-Lineup with a release date for December. If you’re interested, make sure to get your copy since it looks like a perfect way to find out more about her! 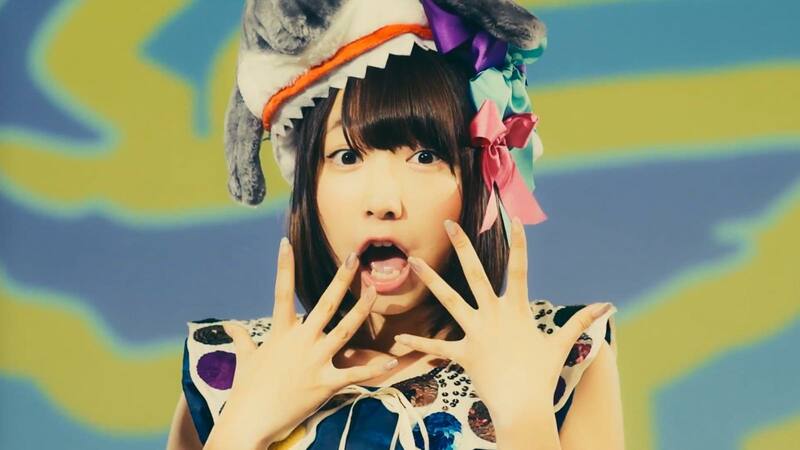 Mai Kotone has released an MV for her single titled Chururippa. If you enjoy videos with idols avoiding eye contact with a camera then you’re in luck! I was quite surprised to say the least since the video is quite interesting, with many scenes featuring the scenery of Taiwan mixed in with scenes of Mai enjoying the area. The song itself … is not the most impressive I’ve heard, but it’s a good start. Sure, Mai is adorable in every sense of the word with her cute voice being her standout point, but something about the weak vocals affects the rest of the video. It could be just the production of the single so I’m not placing the blame on her, but regardless it’s a solid song from an up and coming idol. September 15 was the date when the single was released, so if you like what you hear make sure to get a copy! The MV for Dream’s Blanket Snow has been released. Not to be confused with the multiple songs with the word “snow” that will probably be released in the following months, Dream have provided us with an amazing and soulful song. This MV is packed to the brim with white dresses and everything related to winter you can think of: knee high summer dresses, snowing in every single second of the MV (even indoors), as well as a group of cute and talented performers. Curious? Check it out and enjoy the upbeat, R&B styled song courtesy of this group. We’ll get to enjoy this single on November 18 so it’s just a matter of weeks! Japanese Music and Youtube Red: What’s going on? As most of you might already know, Youtube RED has been something quite controversial since it was first announced. For those who don’t know it’s a service that removes ads for viewers in the US for $9.99. Overall it sounded like a good deal since I wanted to support the creators I enjoy on Youtube a bit more, and following a Netflix style seemed like a good idea at them time. We can finally get to enjoy music and save videos offline! But … it seems like it has come with a double-edged sword for fans of Japanese music. The MV for Yumemiru Adolescence’s Kyoka new solo single titled Sharkgirl ’99 has been released. As you might recall, all of the members of the group Yumemiru Adolescence announced that they would be releasing solo songs and this is the 3rd out of the 5 we’ll be enjoying. It’s quite an interesting title since not many people use the term “shark girl” (a kids movie comes to mind …”), but using some detective work we are able to find out why. The ’99 obviously refers to her birthdate, and the shark girl might be eluding to the more surf rock sound from the song. Enough backstory, how’s the MV? It seems like quite a nice video since it has a cute and fun sound to it with Kyoka doing a lot of cute poses with the music. At times, it does feel a bit awkward, but regardless I’m loving the tune and the theme. Check out the video after the break since it’s quite a nice release that showcases her cute voice!